Pediatric dentistry patients often need crowns. Children’s teeth are quite small compared to the adult teeth that will replace them. Most people do not realize the enamel of a baby tooth is structurally different from a permanent tooth also. Because of the nature of baby teeth in children, many patients need a crown instead of a filling. 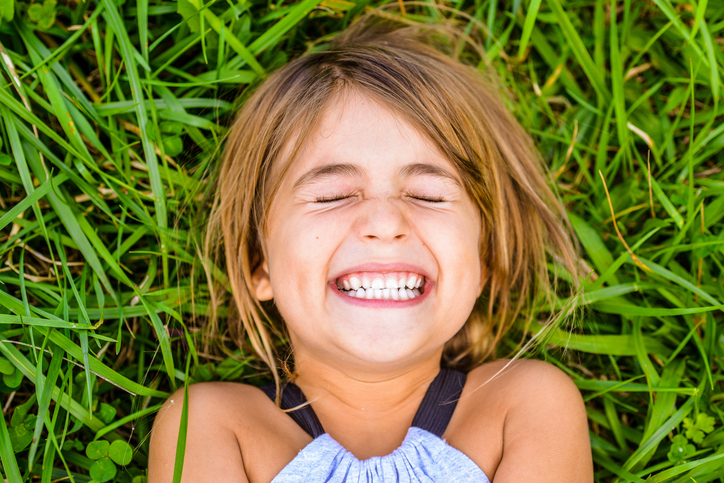 You have likely either had or have seen a child with a “silver” tooth. Those silver teeth are actually stainless steel crowns. Stainless steel crowns have been used for years by dentists due to their safety and effectiveness, but they are not the most attractive option. Over the years dentists have used several products and techniques in an attempt to hide the crowns with varying degrees of success. Companies do not make porcelain crowns for children. About 8 years ago, dentists started using zirconia, a ceramic material during dental work on children. Zirconia is white in color, allowing zirconia crowns to match the other teeth. It is stronger than porcelain and can be milled into child sizes. It is not perfect for all situations, but could be a great option for your child. Dr. McGough has completed advanced training for using these crowns. If you or your child are concerned about a silver tooth showing, ask her if it could be “tooth colored”.